Last week we tackled a difficult topic, the “elephant” in our brains. We began thinking about how much our actions are biologically driven and how much we are predisposed for group belonging. This is a difficult concept for many of us. In part two of Jonathan Haidt’s The Righteous Mind: Why Good People are Divided by Politics and Religion, we start to understand why. And, interestingly, the reason is not as much biology as it is culture. Most of you reading this blog are WEIRD. That is an acronym for Western, Educated, Industrialized, Rich, and Democratic. * We are “a very small subset of the human population”(Haidt 96). Among people who live in western society, Americans are a smaller subset still, and among Americans, educated upper middle class are a still smaller subset. The differences run deep; even visual perception is affected. In what’s known as a framed-line task, you are shown a square with a line drawn in it. You then turn the page and see an empty square that is larger or smaller than the original square. Your task is to draw a line that is the same as the line you saw on the previous page, either in absolute terms (same number of centimeters; ignore the new frame) or in relative terms (same proportion relative to the frame). Westerners, and particularly Americans, excel at the absolute task, because they saw the line as an independent object in the first place and stored it separately in memory. East Asians, in contrast, outperform Americans at the relative task, because they automatically perceived and remembered the relationship among the parts. Interesting, isn’t it? My hunch is that we WEIRD thinkers would much prefer the rider to have more control over the elephant. We see ourselves as independent individuals rather than part of a biologically determined herd. Of course, how we view the world and our place in it is not either/or. All of us are a mix of nature and nurture, biology and culture. But many of us have a predominate way we see the world. For many (most?) of us the way we see the world is unconscious and assumed. And we tend to assume everyone else sees the world the way we do. am not artistic at all. 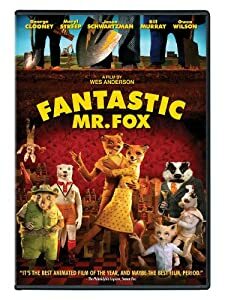 A group of us went to see the stop action movie “The Fantastic Mr. Fox”. After the movie while I wanted to talk about the story line, the first thing the art students wanted to discuss was the color palate and artistic style the animators had chosen and why. While I appreciated the look and style of the movie, I didn’t wonder about why it was the way it was. The students appreciated the story, but didn’t wonder about the motivation of particular characters. We sat in the same theater and saw the same movie and we had quite different experiences, even though we were all WEIRD. Haidt’s idea that westerners are WEIRD in distinction to the rest of the world doesn’t explain everything. You and I can think of exceptions to everything I’ve said so far. But I think the idea has some helpful explanatory power. There are lots of things to think about, ways to apply this, ideas to discuss. But because this is “Conversation in Faith” we’re going to think just a bit, about WEIRD people and religion. I’m not saying anything surprising or new when I say our reading of the Bible needs to be attentive to the historical and cultural situation at the time the text was written. What we WEIRD readers may not realize is how difficult that exercise may be for us. Most cultures, historically and currently, prioritize community and social structure more than we do. The hierarchical- everyone has a place and knows where that place is- and intensely communal worldview of scripture is difficult for WEIRD thinkers to enter. It takes intentional effort on our part. I think, this is why it is easier for some of us to read the Bible as rule book, or handbook than story. We are more comfortable analyzing and categorizing than we are thinking about relationships. It is our “default” setting. So we struggle mightily to find a lesson in every part of scripture. Finding our place in the story is a more difficult imaginative task. Being part of the story is more intimate and more demanding than recognizing and affirming principles and rules. Our WEIRDness probably explains why so many western Christians struggle with the Trinity and eastern Christians seem (from my WEIRD perspective) to have an easier time of it. Our WEIRDness may also help explain why we protestants atomize into a billion denominations and non denominations. We recognize where we are the same and where we are different. We see categories first and those categories determine relationship. What do you think? Does this explain some things about us? Haidt doesn’t explicitly say, but I interpreted “democratic” to refer to the form of government, not the political party. Posted in Ethics, Human, Science and Religion. Tagged Bible, Jonathan Haidt, moral psychology, The Righteous Mind. Previous: Previous post: The Elephant in our brains. Next: Next post: Who is this?